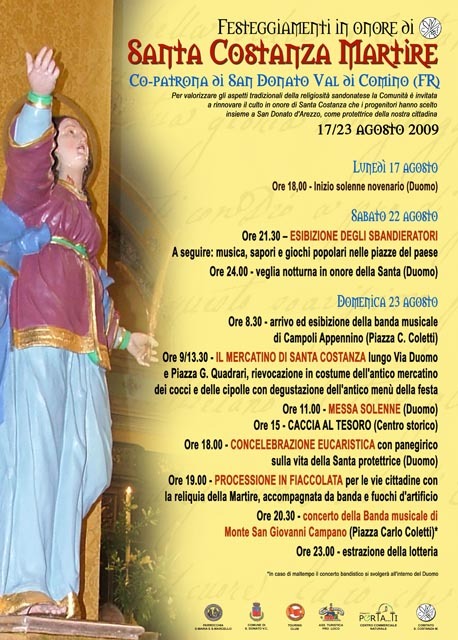 113 – The Feast of Santa Costanza in San Donato Val Di Comino – "Tre Cancelle"
Saint Constance is the co-patron of the mountain town of San Donato Val Di Comino which sits on the edge of the Parco Nazionale di Abruzzo. Constance was a courageous young Roman girl who was martyred for defending her faith. In 1756, the saint’s remains were brought to San Donato for safe-keeping and housed in the Cathedral of Santa Maria and San Marcello. Her feast is held annually on the last Sunday of August, and during this ancient festival there is a night vigil and a procession in which the saint’s statue is carried through the streets by 12 young men dressed as pages in colourful 18th century costumes. 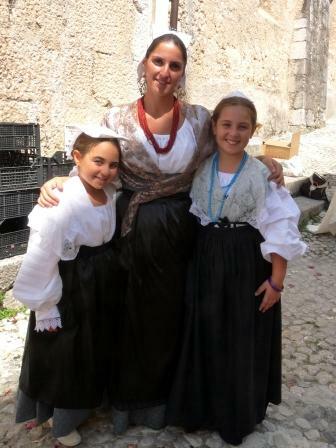 Many of the locals also dress up in traditional costumes of the Ciociaria region. 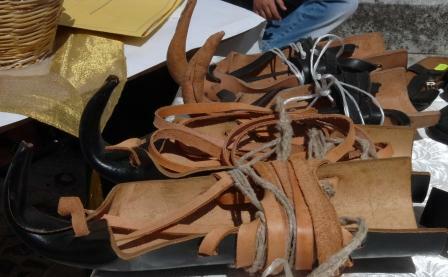 The typical type of footware – the rather strange looking sandals known as “cioce”, from which the region of Ciociaria takes its name. Santa Costanza is the patron saint of young people and of spinsters, who in the past were traditionally nicknamed as “cipolle”– “onions”. 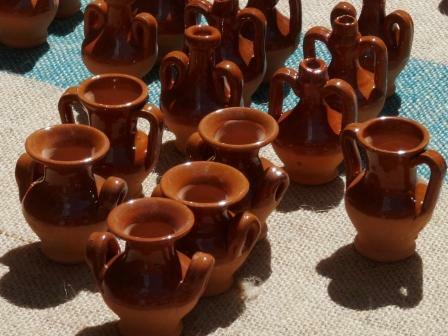 Therefore traditional local dishes are served based on onions such as the “cipollata” made of onions, cheese and eggs. 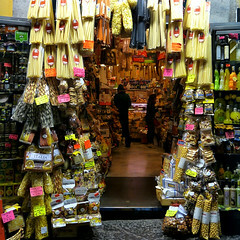 There is also the Mercatino di Santa Costanza – a traditional market that has been held every year since the 1700’s. The custom was that children were given a clay money box to encourage them to save up their pocket money throughout the year. 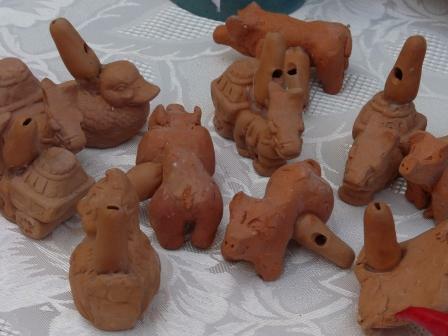 On the feast day the money boxes were smashed and at the market the children were able to buy whistles, small toys and items made of terracotta, together with new money boxes to save up their coins or “spiccioli” for the next year. 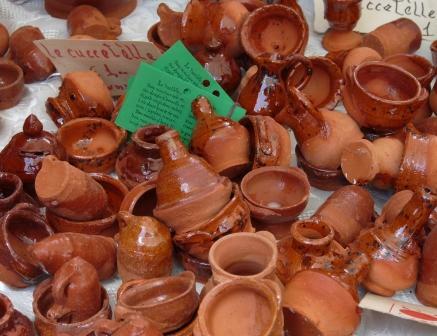 Mothers had the opportunity to buy such things as plaited tresses of garlic or onions, terracotta urns, pots, pans and dishes. 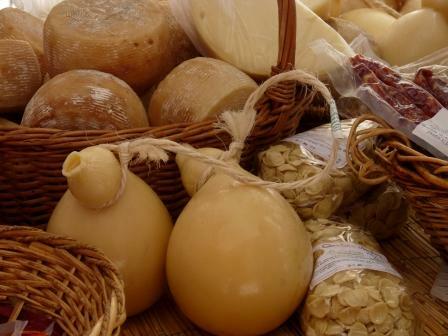 At the market there are also stalls selling local arts and crafts, as well as traditional food products such as the curiously shaped Caciacavallo cheese. The festivities also include entertainment in the form of comedians, acrobats, popular games, concerts and culminate in an impressive fireworks display. You’re welcome Linda. 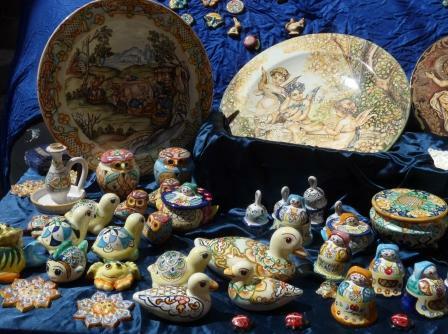 Do you have family connections with San Donato? My family come from Atina. Thanks great Linda, hope you have a wonderful time !! !